On this day in 1923 the Hollywood Sign was officially dedicated in the hills above Hollywood, Los Angeles. 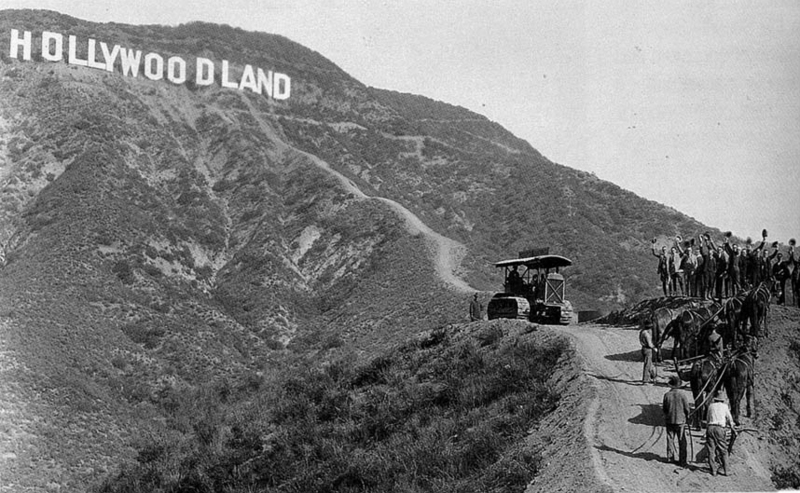 It originally read “Hollywoodland” to advertise the name of a new housing development, but the last four letters were dropped after a renovation in 1949. Today we have the song Hollywood by John Wayne Shot Me. Cool song. I haven’t heard a singer’s accent like that since Sportsguitar.